Welcome to another week of Travel Photo Thursday, week 265 (2/11/2016), and Porto's stunning Livraria Lello & Irmao. 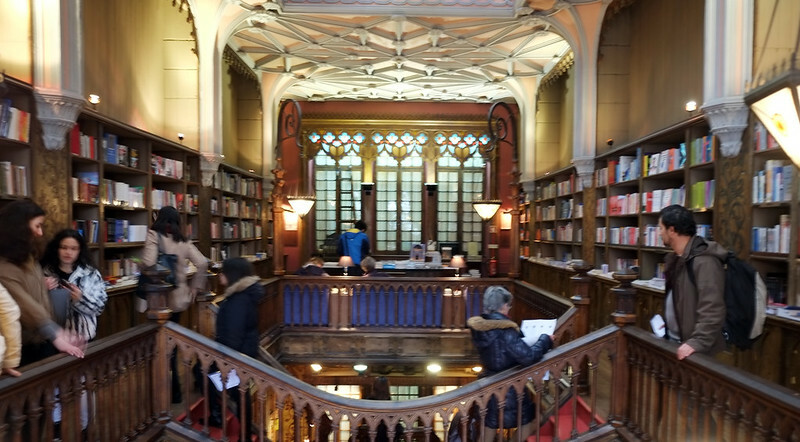 Welcome to another week of Travel Photo Thursday, week 265 (2/11/2016), and Porto’s stunning Livraria Lello & Irmao. 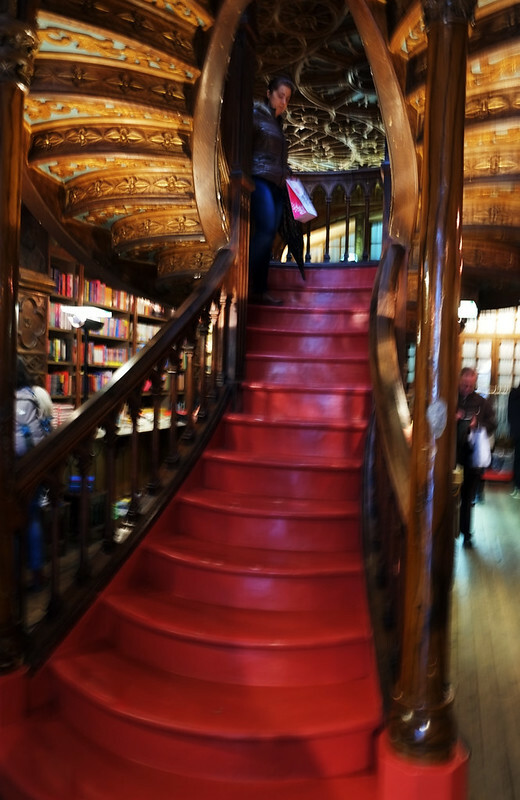 “Rumor has it J.K. Rowling was inspired by Livraria Lello while writing Harry Potter (and teaching English in Portugal). 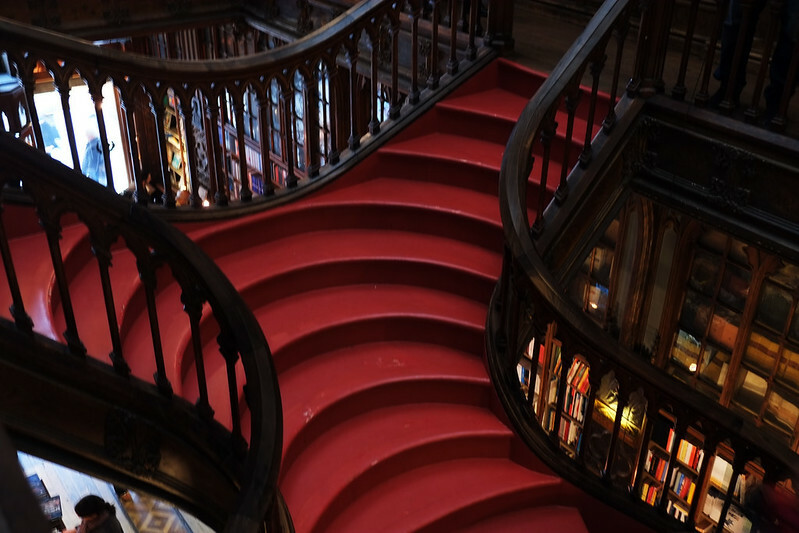 It doesn’t take long to appreciate Lello’s potential as muse: a stained-glass atrium puts the spotlight on the bookshop’s deep red staircase, spectacular enough to stop you in your tracks. ” (Time: THE FIFTEEN COOLEST BOOKSTORES FROM AROUND THE WORLD). 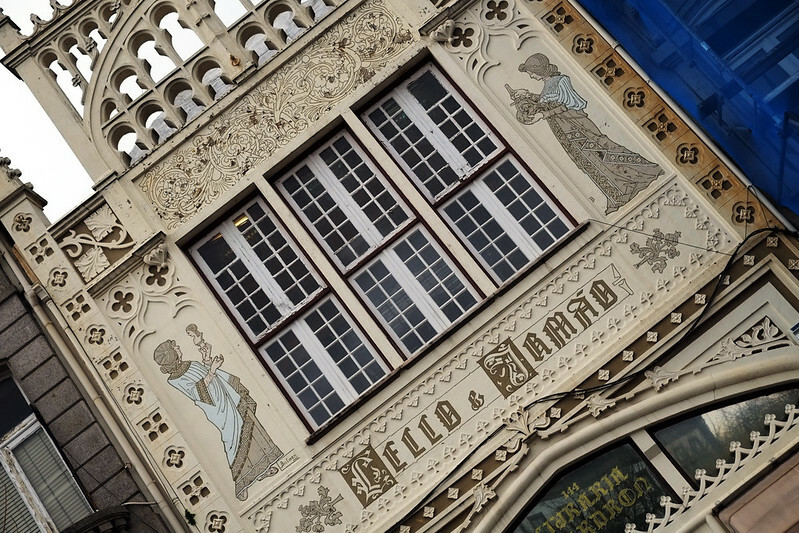 The store’s neo-gothic facade is gorgeous, but with everything that’s going on around, it doesn’t really stand out! You’ll also want to take note of the red building across the street from the entrance. That’s where you buy your entrance ticket. Yes, there is an entrance fee. TIME helped to make the store very famous. With some many people just dropping by to see the store, selling books became a bit of a challenge. Now, visitors pay a 3 Euro admission, and should you make a purchase that 3 Euro will be credited towards your purchase (excludes the coffee available upstairs). Don’t forget to check out the back. Two interesting looking creatures support this beauty! After you finish gaping at the staircase, you may notice a track running through the lower level. At the end of the track is this trolley that is used to haul books around the shop. 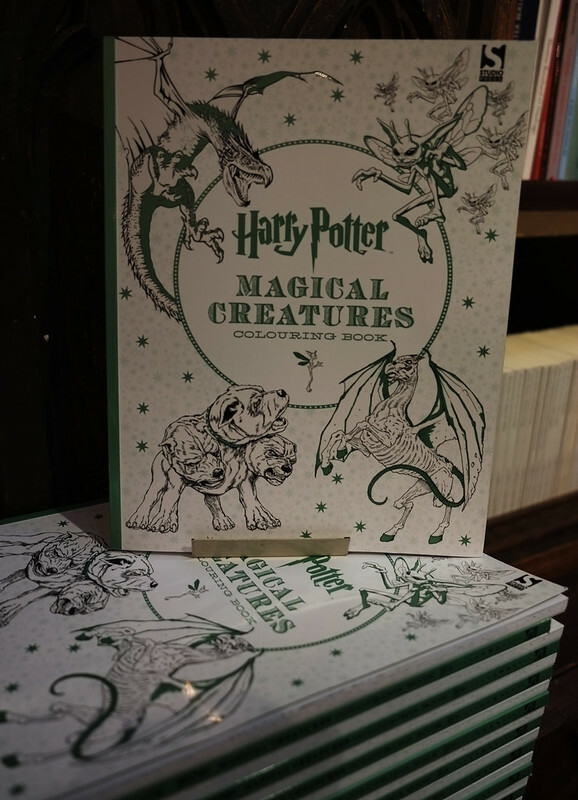 You’ll find lots of Harry Potter books for sale, in both Portuguese and English! 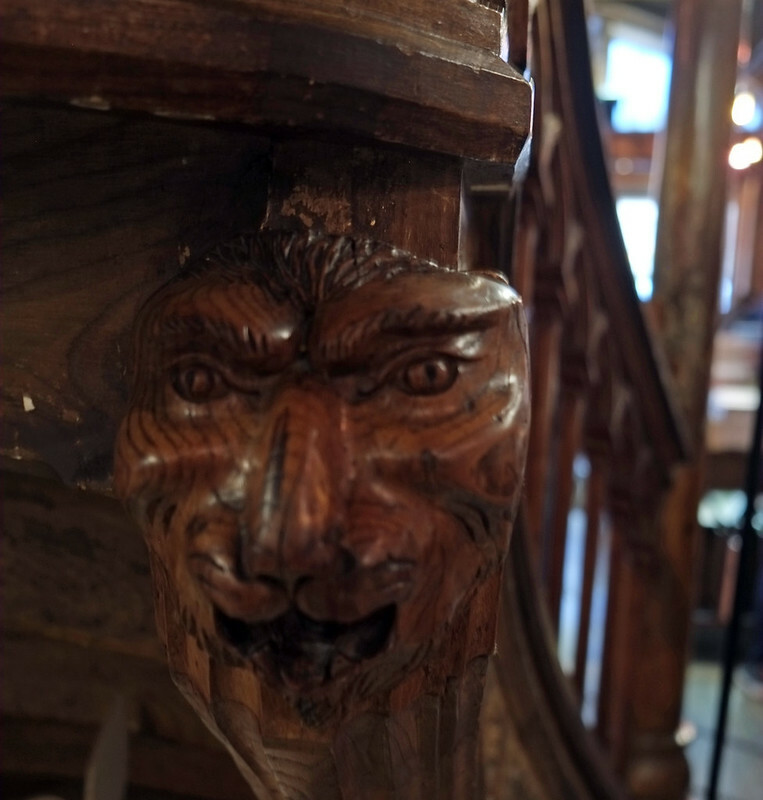 Climb the stairs and you’ll find yourself gaping again. This time it’s the gorgeous stained-glass skylight, and the ceiling design itself. 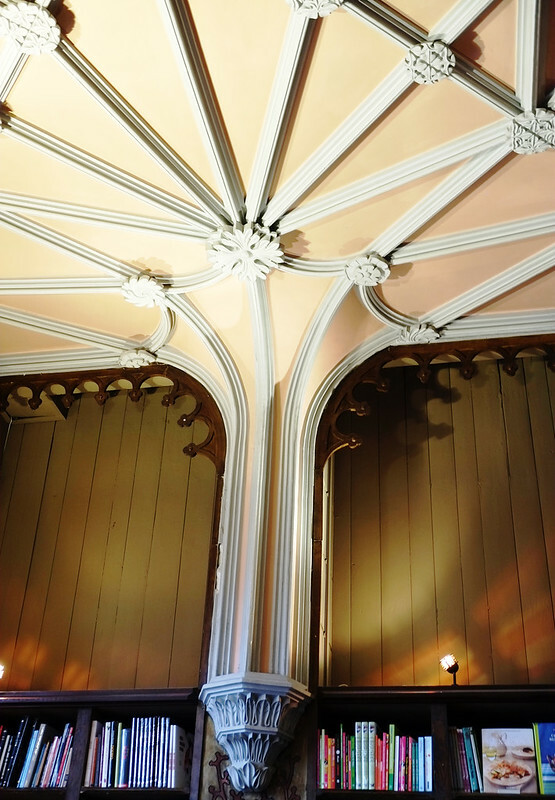 The ceiling appears to be carved from wood. However, it’s actually painted plaster! 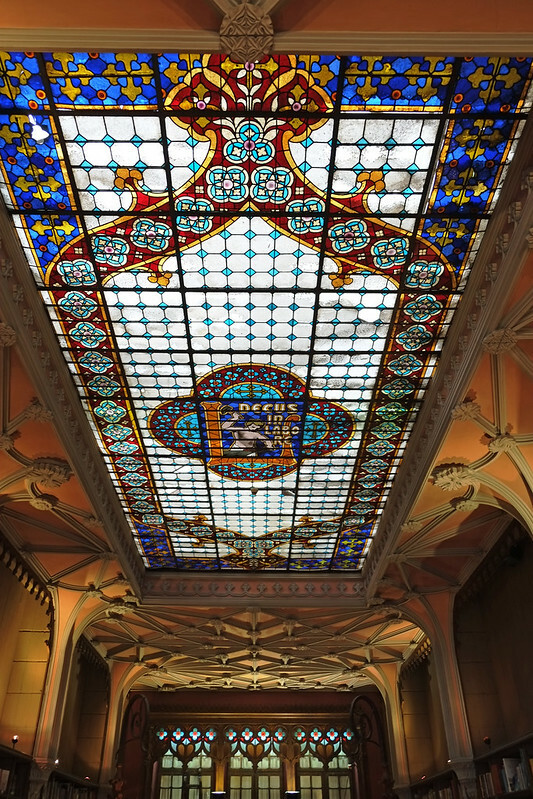 In the skylight, framed by the Lello brothers’ insignia is the Latin phrase ‘decus in labore’ (dignity in work); the golden rule of Livraria Lello & Irmao. The bookshelves and upstairs reading room. Isn’t this an amazing place to relax with a good book? There’s also a small cafe. I was a little surprised that they serve their coffee in Styrofoam cups! 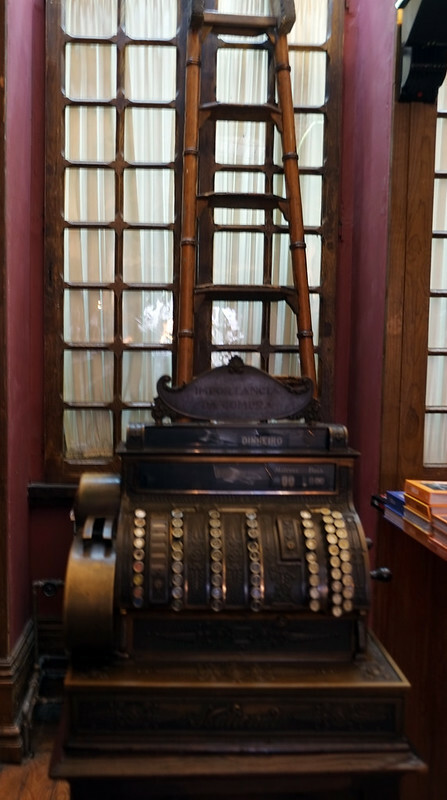 I don’t think the cash register or book-stack ladder have been used in a while. The staircase is just as beautiful walking down! Downstairs you’ll also find a bas-relief representing Jose and Antonio Lello, the founders of the shop, along with the busts pf Portugal’s most prominent authors. While the brothers owned the shop, the bookseller, Mr. Domingos was its soul for 52 years. Do you visit bookstores when you travel? 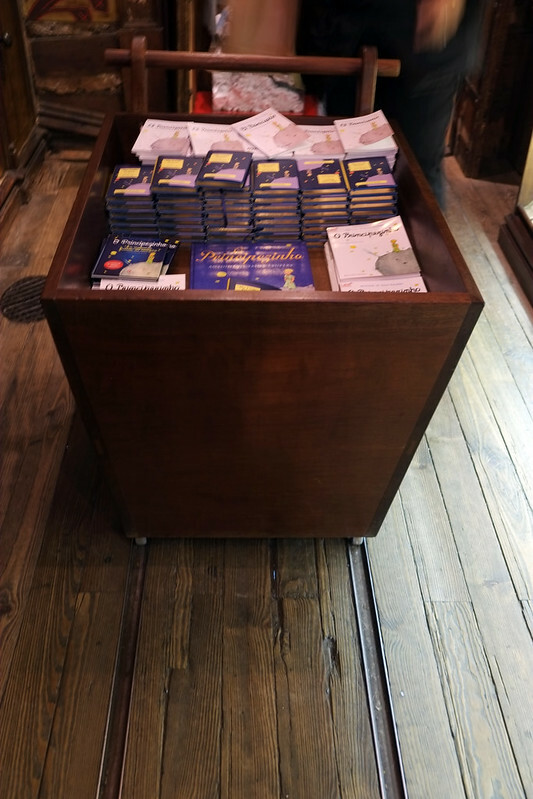 Have you had the pleasure of visiting the Livraria Lello & Irmao in Porto? 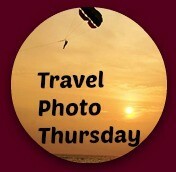 Please welcome our co-hosts this week: Jan from Budget Travel Talk Ruth from Tanama Tales Rachel from Rachel’s Ruminations____You can browse the Travel Photo Thursday archives here.If you like this post, please share using the share buttons at the top or bottom. Much appreciated! What a beautiful bookshop, it looks more like a library than shop. But what a shame they don’t use china cups for their coffee. wow, what a gorgeous looking bookshop. I could spend hours in there. Th stuff of dreams. The trolley, skylight and staircase – wow. I want to visit Porto so much. We’ve been to Lisbon and loved it. I’ve heard Porto is completely different to Lisbon but gorgeous in it’s own right. Looking forward to more from Porto. Okay, I would pay to go into this place! Fantastic looking bookstore — of course, I love all bookstores, especially those like this one! How very Potteresque! Didn’t know this existed! How cool! This looks like a wonderful place to visit. I love all the little details. I don’t remember ever visiting a bookstore during our travels but this I’d go to. We’re Harry Potter fans so this would be a highlight too. Wish we had enough time to visit Porto. Loving all your photos of it so far especially the food. What an amazing bookstore! I wouldn’t mind visiting right now. I love all of the architectural details, including the font for the bookstore’s name! Wow, this is like no bookstore I’ve ever seen – or heard of! This must be top of that Time magazine list. But how do you even read in a place like this when there’s so much to gaze at? It sure makes Barnes & Noble (and all other bookstores) look puny and pedestrian. Wonder if they ever have weddings or other social there or if you could rent it to take photos, for example? I could see a bride walking down those stairs in a beautiful wedding gown. Great find! Thanks for the tour, Nancie. Nancie, I am happy to see more of this library. I always see pictures of the staircase but I didn’t know about the other area / features (and didn’t know you have to pay to get in). Agree that this place is worth a visit. Libraries are some of my favorite places in the world. When I went to Spain last year, we stopped by a library at each major city. I wish I could have stayed more time on some of them. Gorgeous! Portugal keeps amazing me… definitely need to pack my bags and head there! Nancie, that stained-glass skylight is magnificent. Sounds like you did a lot of open-mouthed gaping and I can certainly see why. 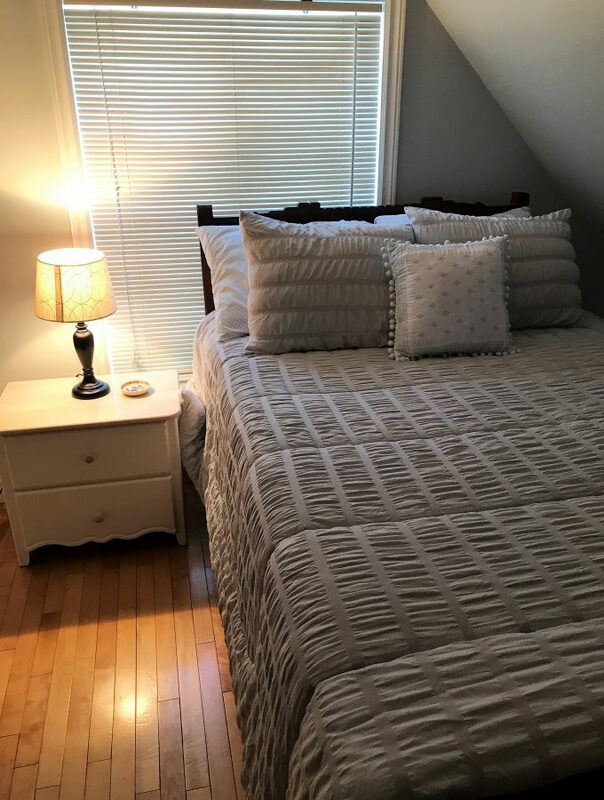 Have an awesome visit! That is very interesting that JK Rowling was inspired by this place for writing her Harry Potter novels. I do love to browse bookshops in other cities. I recently browsed one in Hobart, Tasmania and the shop assistant recommended several books to me, which i always take onboard. This particular bookshop is gorgeous but I’m not sure about charging admission! I think that is a bit over the top. Do they sell any books in English language?